Welcome home to the RILEY PLAN. 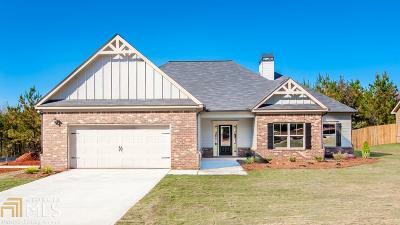 This beautiful 4 bedroom 2 bathroom ranch with an open floor plan will impress you. Upgraded features include granite counter tops in kitchen, covered back porch, garden tub, separate shower, and a large walk in closet. LVP flooring throughout main traffic areas. Directions: From Downtown Locust Grove, Continue Down Hwy 42 South, Turn Right On To Locust Road At Relevant Church, Drive 2.5 Miles Down Locust Road And Coulter Woods Will Be On The Right.